7 states (Alaska, Connecticut, South Dakota, Wyoming, Nebraska, Alabama, and West Virginia) are planning a QRIS. Quality Rating and Improvement Systems have made great strides in the past few years; estimates from even two years ago indicated that approximately half of states had a QRIS in place. 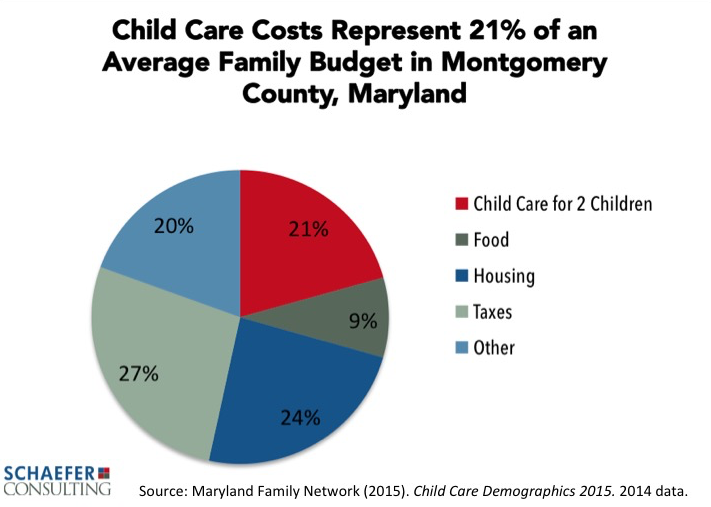 Quality Rating and Improvement Systems provide ratings of the quality of early childhood education programs, so parents, child care providers and the state will know the level of quality of a given program. Rating systems typically use star ratings, ranging from one to four or five stars, not unlike hotel or restaurant ratings. The criteria used for different ratings levels are far more substantive than satisfaction ratings, generally based on research evidence and professional practice for program quality in the early childhood education field (here is a fuller definition of Quality Rating and Improvement Systems). 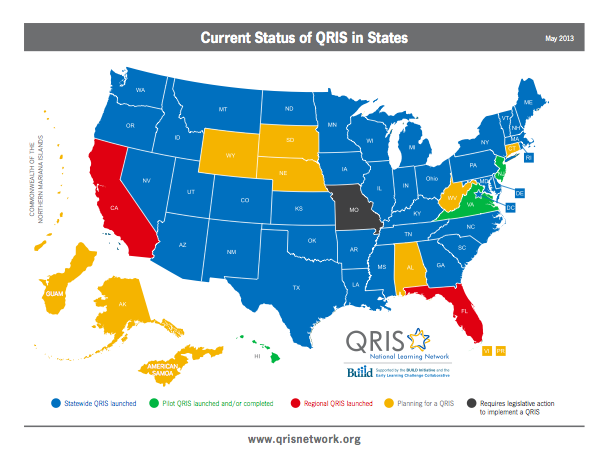 QRIS is a major strategy being used by states to provide better information to parents, and to incentivize providers to improve their quality, often for enhanced funding. 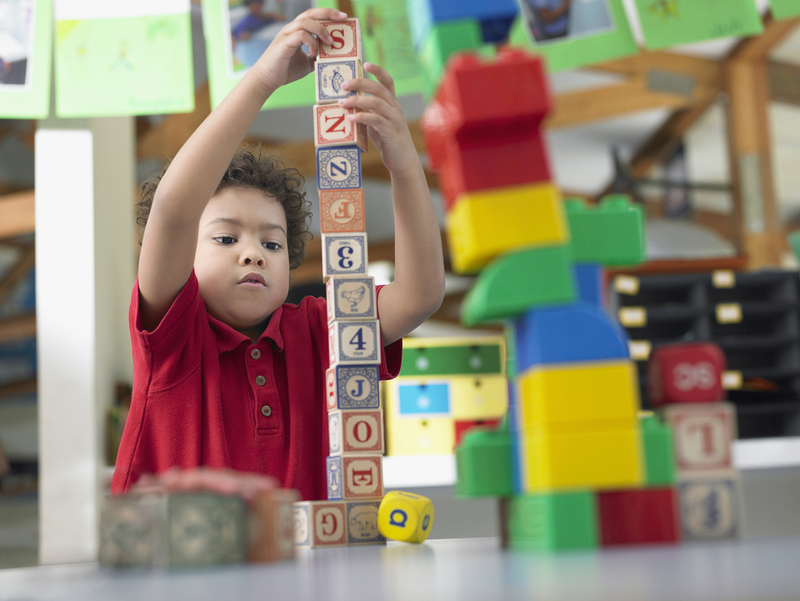 States vary in whether QRIS participation is voluntary or required for programs, and in the range of early education programs participating (child care centers, family child care providers, pre-k and Head Start).